The rumours about a Nike Fuelband 2 are frankly nearly as old as the original device itself. However now they’re coming to a head, with Nike planning a “NikeFuel Forum” event on October 15th. This event, which is only a week away, is almost certainly going to mark the announcement of the much rumoured new device. Nike have not confirmed the production of a second generation Fuelband, let alone briefed the media to expect the product on the 15th, but we’ve been hearing rumours of such a product since May and the timing fits. When Nike launched their original activity tracker, they were in fact launching a whole new segment of consumer electronics. The activity tracker, which is essentially a ‘smart’ pedometer, has become one of the most in-vogue sports tech products of the year. The expanding feature lists and leanings of many of the devices have made the segment popular from everybody seeking a little help to do a little bit more, right the way through to keen trainers. The introduction of a new API, allowing app makers to create better apps for the Fuelband. Popular apps like MapMyRun have integrated into other bands on the market, and the more robust Nike API will enable them to do likewise with the FuelBand 2. A companion Android app. For whatever reason, fit tech gadgets have favoured releasing companion iOS apps to date. Nike have been known to be working on this for a while, and its expected that the Android version will launch with the 2nd-gen band. 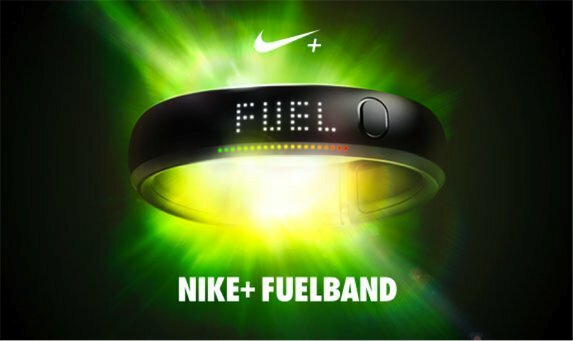 As recently as February, Nike were largely dismissive of the Android offering, stating that they were ‘focussing on the Fuelband experience across iOS and nikeplus.com’. However, we have seen 6 months of solid Android gains on iOS during the intervening period, and Android is now very difficult to ignore. Nike have been in bed with Apple for some time, with their apps coming pre-installed on iPhone’s. This is a rare place to be with Apple, who don’t normally choose to work directly with third party apps as pre-installations. However, this trend has continued with the recently released iPhone 5S, and a new Nike Move app is due for release within the app store at any moment. This app will turn your iPhone into a Fuelband, which will map your activity and encourage you to workout with friends. A rudimentary version has been in place for some time, but the rumours suggest that the new app will go a long way beyond the one that may already be on your iPhone. We’ll have to wait until October 15th to learn more. We’ll be sure to keep you posted.